Posted April 3, 2010 in Darren Rawlings, Galactus, The Hulk. Skadoosh!! 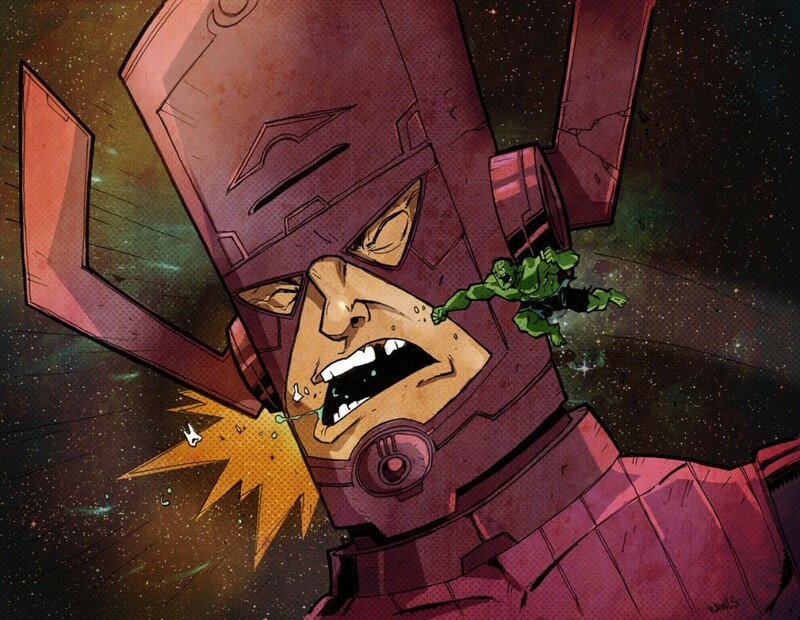 The Incredible Hulk slugs it out with Galactus, courtesy of Toronto based artist/designer/animator Darren Rawlings. This is just one of a series of knockout bouts starring the Hulk that Darren created for his ‘March Madness’ month over at his blog. Be sure to visit Darren’s website for links to all of his projects including his webcomic, The life of Rex Bunyan and the graphic novel series, Agent Orange.